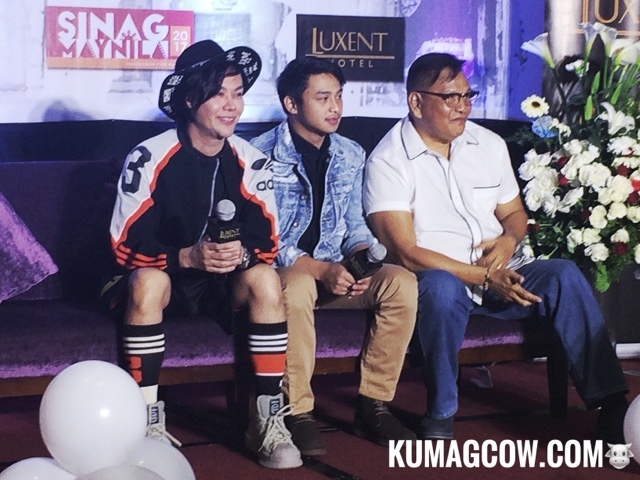 Just got off the presscon for "BHOY INTSIK" starred by Raymond Francisco, the official entry of Frontrow Entertainment to the Sinag Maynila 2017. He says "I didn't know at first that there are people living in cemeteries, the parallelism of how these things happen in real life is insurmountable. I play a gay character, dresses up to fool people, but I have a soft heart. 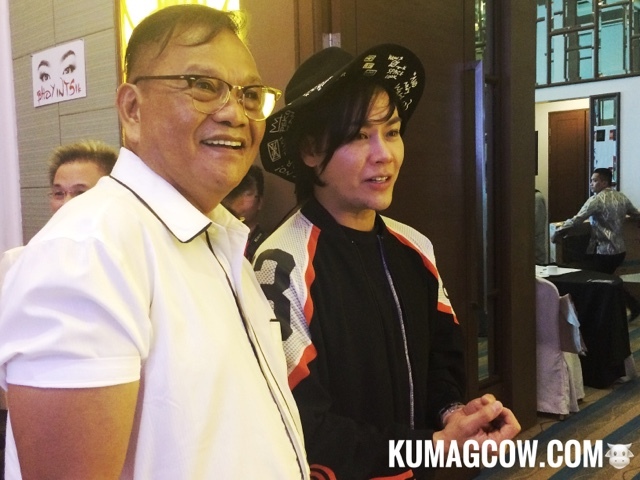 I worked with Direk Joey in the past and when I got word that I was going to do the lead role, I was nervous, but Direk was precise and we attacked this role differently. I play different roles really, it's my first lead role and my BIGGEST break. To a point this is gay empowerment, I really don't like gay roles where they get ridiculed, kicked, and this is good." Also included in this film is Ronwaldo Martin, Coco Martin's brother. He's done several indie films already including Cinemalaya entries like "Pamilya Ordinaryo" and his supportive brother has nothing but good words for him. He's playing Marlon, a not so good guy who also happens to be a con man. He lives with "Boy Intsik" and gets into conflicts with him in this project. 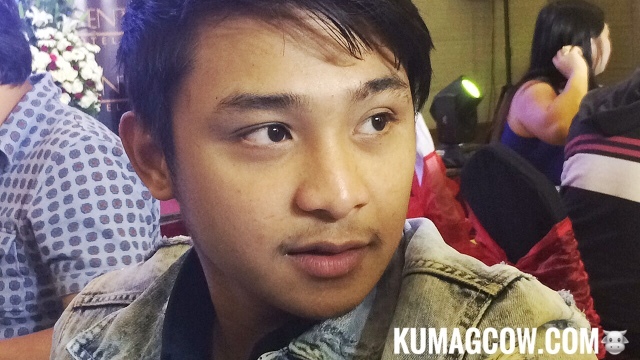 He wants to later on be paired with Anne Curtis and also get to where Coco Martin is today. He's got a very good disposition, and I could see Coco Martin in him when he was younger. He's not single, unfortunately for you ladies, and he's had his non showbiz GF for a couple of years now. 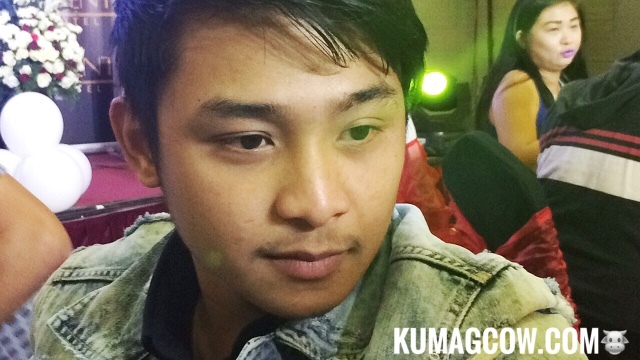 He says "I was hand picked by Direk Joey and being Marlon Pogi I hope the contrast comes through. I live in a bus, live everywhere and the character calls for something raw which was asked for me in the film. I'm excited to see this on screen! He's going to get booked, but wouldn't be romantically involved with a lady in this film." Direk Joel Lamangan adds "The story is from real life, it's from a depressed area in Cavite. That person is already dead but when he was alive some of the things in this film was patterned with what he did in the past. I knew RS aka Raymond Francisco was fit for the film because I watched his previous stage plays. They were enemies before and they got to know each other later on. I knew they were all veteran actors, I challenged them to do it and they are good. Ronwaldo is super tight lipped but he does the job quite well and observes people so he could adapt to the role. We have full dimentional characters, and they did it with ease. They are the best assets of this film and they see the need for aesthetic quality, they are a very good addition to the industry. I hope people watch this in SM Cinemas, Gateway Mall and other theaters in Metro Manila! It's not done yet with the sub titling but we're sending this also to Hong Kong hopefully soon." Sinag Maynila 2017 will run from March 9-14, 2017 in selected cinemas in Metro Manila.